Craig is a planning and environment Partner in our National Property and Development team. He is experienced in all areas of planning, development, environment, contaminated land, heritage, water, pollution, waste, compulsory acquisition, and workplace health and safety law. 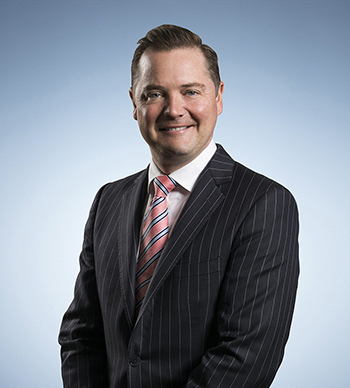 Craig is also experienced in the preparation and conduct of litigation in the NSW Land & Environment Court and other specialist Courts and Tribunals across Australia. In addition, Craig has significant expertise in AFL and AFL tribunal matters. His experience as a tribunal advocate is enhanced by his experience as an AFL player, and being a Level 2 accredited AFL coach. Craig has valuable ‘in-house’ experience gained through senior positions at top ASX 100 listed companies, including being the secretary to Health Safety and Environment committees of boards and senior management teams. He combines his commercial experience with practical know-how to guide clients through the myriad of planning and environment laws, drawing on his network of professionals to advance client endeavours. Craig is recognised by his peers in Best Lawyers in Australia in the areas of Planning and Environmental Law (2016 – 2020) and Water Law (2020). Acted in a range of Land & Environment Court matters, including merit appeals on residential and non-residential developments, for both developers and local government in urban and regional areas. Craig has appeared in proceedings in relation to the compulsory acquisition of land for power upgrade and other infrastructure projects. He has also acted in civil enforcement proceedings for local government for breaches of planning laws (including for unlawful waste disposal and unlawful development), and acted for developers in relation to the issuing of orders by regulatory authorities and judicial review proceedings. Advised developers in relation to commercial offices, residential flat buildings, and boarding houses under the Affordable Housing SEPP. Craig also advises on places of public worship, childcare centres, rezoning land, pop-up shops, general stores, hotels, shops, state and local heritage listings, existing use rights, modifications and enforcement orders, and penalty notices issued by regulatory authorities. Advising registered clubs in relation to planning and the redevelopment of land for retail, commercial, car parking, and light industrial purposes. Advising developments for retirement villages and seniors living under the Seniors SEPP. Acting and advising in relation to wind farms. Including the NSW and Commonwealth planning and environmental approvals for the development of three large wind farms in NSW. Advice in relation to EPA site inspections, non-compliance with licence conditions, reporting requirements and environmental incidents, and EPA investigations and pollution prosecutions. Advice in relation to EPBC Act referrals and enforceable undertakings under Commonwealth environment laws. Represented AFL clubs, club officials, players and spectators in the AFL Tribunal in contested hearings and hearings on penalty.